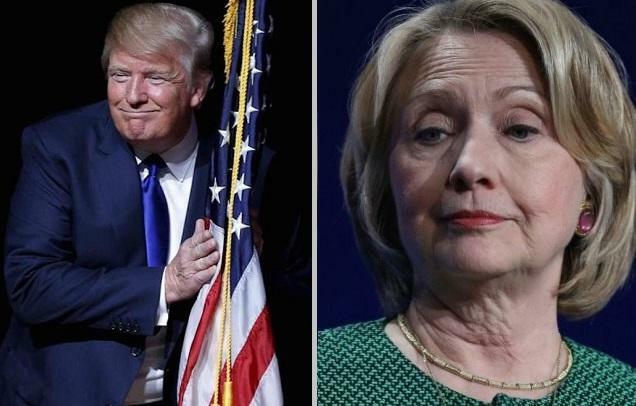 As it became clear during the 2016 US election that Donald Trump had a mountain of support underneath him, nervous Democrats connected to the Hillary Clinton camp reached out to US officials over a half-dozen times, “each tapping a political connection to get suspect evidence into FBI counterintelligence agents’ hands,” according to The Hill‘s John Solomon, citing internal documents and testimonies he has reviewed, along with interviews Solomon conducted. Each contact by a Clinton crony was unsolicited, according to Solomon’s FBI sources, in what they described as a “classic case of information saturation” meant to inject toxic and unverified opposition research into the agency’s counterintelligence apparatus that should have known better than to eventually bite. Perkins Coie, as we know, paid Fusion GPS to produce opposition research assembled by former MI6 spy Christopher Steele in his now infamous “Steele Dossier,” which suggested that Donald Trump colluded with Moscow during the 2016 election. By the time Perkins attorney Sussman reached out to the FBI’s James Baker, the Steele dossier had already made its way inside the FBI. Sussman, however, “augmented it with cyber evidence that he claimed showed a further connection between the GOP campaign and Russian President Vladimir Putin,” according to Solomon. Some of this digital evidence was delivered on a thumb drive, according to Baker. Baker acknowledged that the Clinton-linked attorney’s evidence did not follow the typical route into the FBI – but since he was the bureau’s top attorney, agents snapped-to and collected it from him. According to Solomon, “the tsunami began when former MI6 agent Steele first approached an FBI supervisor, his handler in an earlier criminal case, in London” on July 5, 2016 – the same day that former FBI Director James Comey made the shock announcement that he would not recommend criminal charges against Hillary Clinton for mishandling classified emails on her homebrew server. Steele traveled to Washington later that month where he would reach out to two political contacts who were in positions to influence the FBI; a former State Department official under John Kerry, and former #4 DOJ official Bruce Ohr – who immediately took Steele’s “research” to then-FBI Deputy Director Andrew McCabe. Ohr would eventually warn the FBI that Steele’s information was biased opposition research, which the agency ignored. 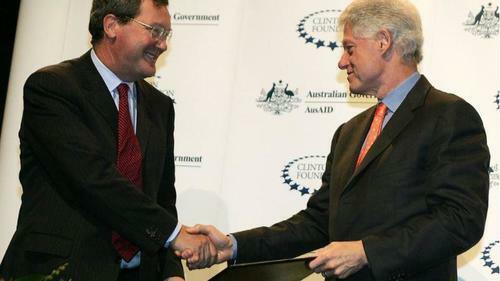 While Ohr had passed the Clinton-funded Steele dossier to the FBI, Australia’s ambassador to London, Alexander Downer, contacted US officials – who said Trump campaign aide George Papadopoulos drunkenly admitted to knowing that Russia had dirt on Hillary Clinton. Related: Where’s the outrage over Hillary’s call for a ‘civil’ war? Downer’s tip on Papadopoulos launched Operation Crossfire Hurricane – the FBI’s counterintelligence operation which employed spies to infiltrate the Trump campaign. Continuing with the Trump-Russia “saturation campaign” was the September 2016 delivery of more anti-Trump opposition research delivered to Winer and Nuland – the Kerry State Department employees. This time, however, the opposition research was crafted by known Clinton associates Sidney Blumenthal and Cody Shearer. This second “dossier” was also sent to the FBI. All in all – it was a full court press against Trump and his campaign – including an outreach by Christopher Steele to the media which resulted in the FBI severing their relationship with him (despite using his research as the foundation for a FISA spy warrant against Trump campaign aide Carter Page). By mid-September — less than a month before Election Day — there likely was agitation inside the Clinton machine: After so many overtures to the FBI, there was no visible sign of an investigation. Simpson and Steele began briefing reporters with the hope of getting the word out. It is taboo for an FBI source such as Steele to talk to the media about his work. Yet, he took the risk, eventually getting fired for it, according to FBI documents. Baker, the FBI’s top lawyer, testified to Congress that he was clearly aware Simpson’s team was shopping the media. “My understanding at the time was that Simpson was going around Washington giving this out to a lot of different people and trying to elevate its profile,” Baker told congressional investigators. Clinton’s opposition research got some congressional assistance when then-Senate Minority Leader Harry Reid – after having been briefed by then-CIA Director John Brennan, sent a letter to the FBI in late October, 2016 “demanding to know if agents were pursuing the evidence,” writes Solomon. In other words, the Trump-Russia narrative from Team Clinton was promoted through the State Department, Congress, Justice Department and a top Democratic lawyer. And nobody in the FBI – according to what we know, made any efforts to interfere with an obvious attempt at a political hit job. In another timeline, Hillary Clinton won the election and none of this information would have come to light. That said, it doesn’t seem to matter anyway since there’s clearly a ruling class that’s above the law – whether they win elections or not.